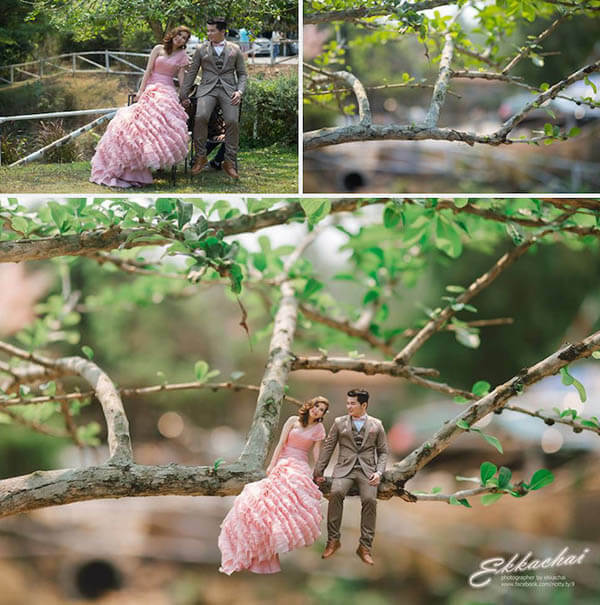 Wedding photos are quite popular in Asia but to have an unique set of wedding photos are quite difficult. 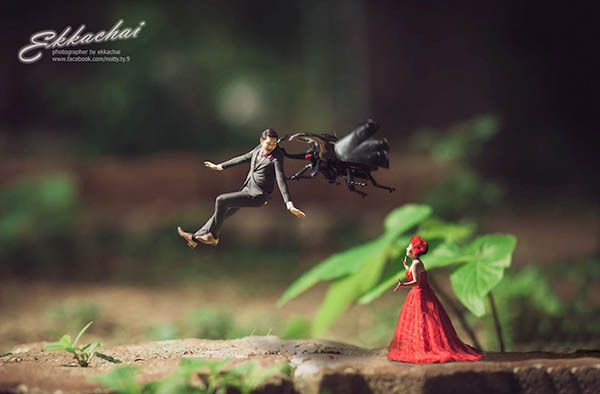 Thai photographer Ekkachai Saelow tries to do something different instead of shooting flying wedding dress in air. 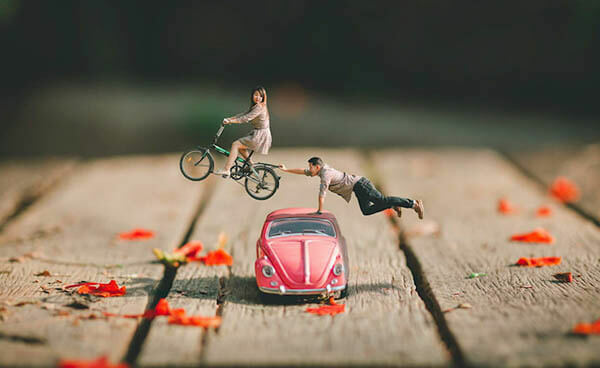 In his whimsical wedding photography, he manages to transform couples and newlyweds into miniature versions of themselves, living in a more fantastical world. 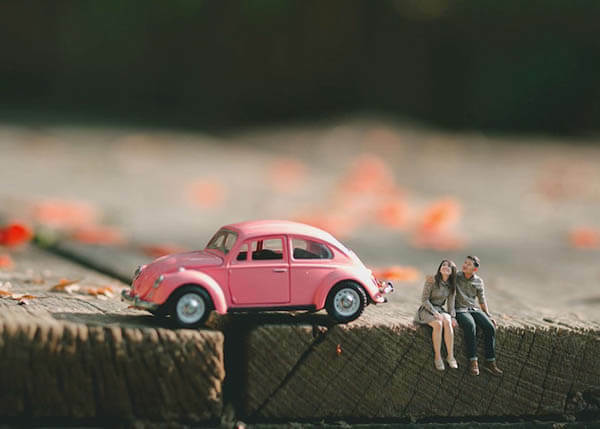 To achieve the effect, Saelow crops his subjects out of original photographs and inserts them into a small-scale landscape (such as a toy truck or a tree branch). 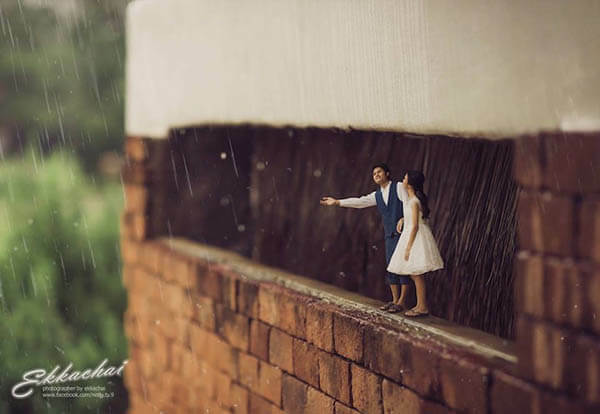 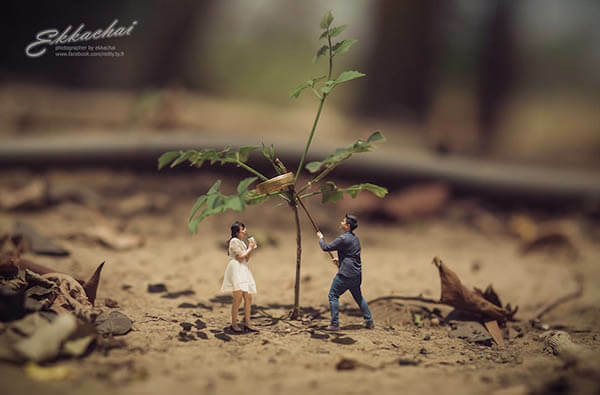 He then applies a tilt-shift effect to create the illusion that the couple has shrunken to a plastic doll-like height of two inches. 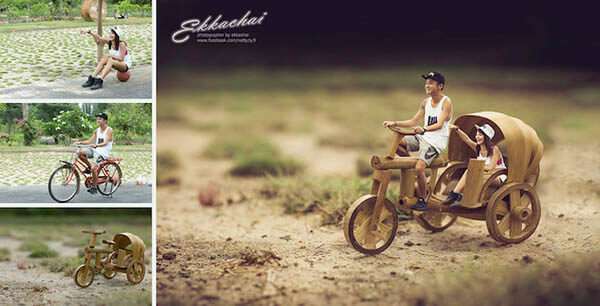 Of course, this is not only about the photography and a lots of after-effect need to be applied. 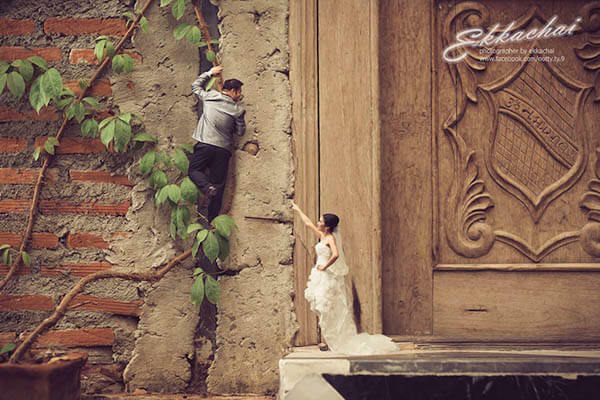 Hence, this type of photography might not be favored by people who want their wedding photo has documentary style. 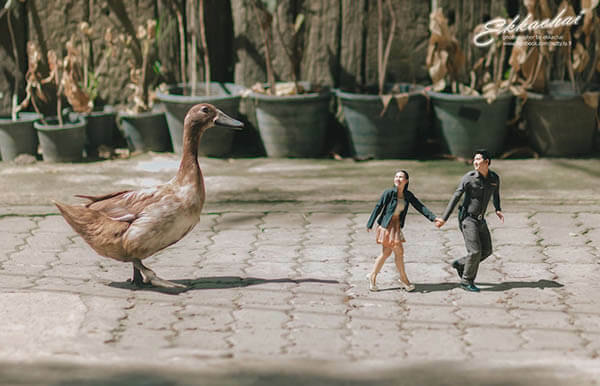 But the result is a charming blend of humor and heart, offering a unique spin on traditional wedding photos. 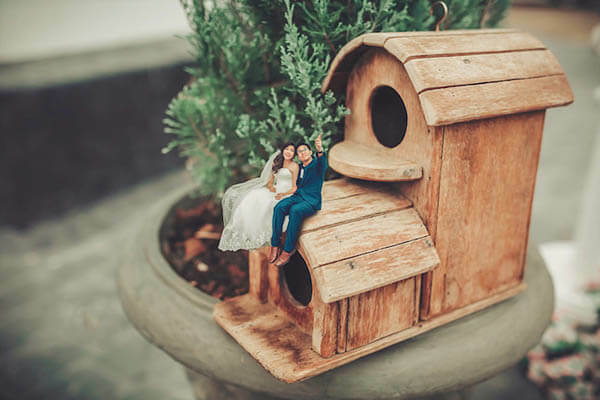 Maybe it is worth a try to give a new perspective of wedding photos? 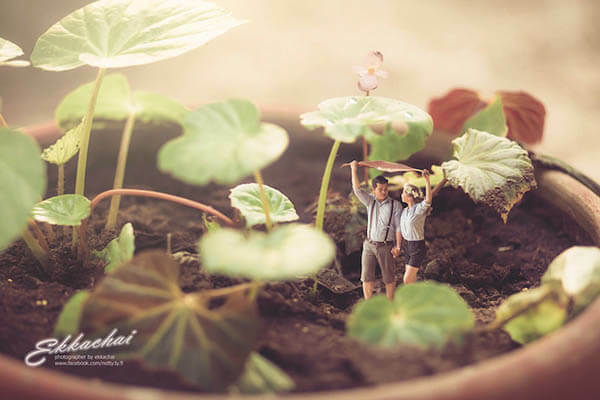 How does your home look under Thermal imaging?